I began a new career as an insurance appraiser last year. As a result, my self employment income was less than $40 with 2 listed dependents plus myself as a head of household. My question is this. 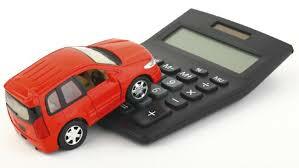 Do I have to take the car deduction for the 38,000 miles I drove for business? I qualify for the EIC, so if I don't use the deduction, my refund goes up by $3-4k. My worry is, the IRS will see my car deduction on previous years, and require me to take it in 2010, which would mean I would owe $3k+ with penalties back. The other easier question, is since my 2000 Mazda Protege is only worth about $2000, is it proper to receive a $10 or $12k deduction? I believe that the IRS only specifically states that you are required to report all income, not exenses. In fact, with regards to the mileage deduction, they will not allow a deduction if adequate logs were not kept. Therefore, I feel it would be safe to say you do not have to report the mileage you drove throughout the year.